Free webinar teaches nonprofit leaders how strategic planning can bring all stakeholders on board to achieve a nonprofit's mission. A strategic plan is the road map that defines where an organization is going -- its mission -- and how it will get there using measurable goals, strategies, objectives, and a 12-month work plan. Stakeholders, such as employees, board members, and funders, want to see that map before signing on for the journey. Funders want to review the strategic plan to see how funds will be used; board members want to see the plan before they agree to serve; and staff want to know the focus of their work and the deliverables that the organization expects of them. Strategic Planning: Building Your Roadmap to the Future is a free webinar, hosted by Ventureneer, that will show nonprofit leaders how to get started on the strategic planning process. The free online seminar will take place Thursday, July 22 from 12 noon to 1 pm ET. "The strategic planning process is a way to focus on what a nonprofit is trying to do and what it needs," says Geri Stengel, founder of Ventureneer. "Tapping the ideas and knowledge of all stakeholders is incredibly valuable and informative." identifying your organization's strengths and weaknesses. The free webinar will be taught by Kathy Keeley, Principle, The Keeley Group, who has been a social entrepreneur and executive for more than 20 years. She has been a nonprofit consultant for the last 10 years, providing strategic planning, consulting, facilitation, and coaching services to nonprofit organizations and small businesses. Writing a strategic plan usually involves a board retreat as well as staff input. It certainly requires the leadership of someone familiar with the process and with the organization. The planning process for every organization is unique; it must be fit the organizational culture and board expectations. Nonprofit executives, key management staff, program directors and staff, and board members can use the information in this nonprofit online seminar to lead their organization through the strategic plan process. 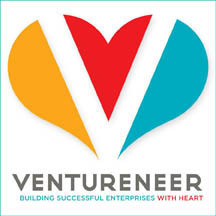 For more information or to register, go to Ventureneer.